The Alcatel-Lucent MDR-8000 series of microwave digital radios offer a full range of options to build out your network exactly how you need. Pick a unit that specializes in low-, medium- and high-capacity microwave links for point-to-point connections, perfect for mobile, public and private operators in fixed networks. Microwaves like the Alcatel-Lucent MDR-8000 digital microwave radio series are able to provide much faster deployments and simpler maintenance compared to other wireline options or large fiber optic facilities. The MDR-8000 series is designed to be especially simple in terms of installation and flexibility for network development. The MDR-8000 series are top quality radios for long-haul wireless communications and the underlying platform is robust enough to deliver a range of operational capabilities while reducing total cost of ownership. 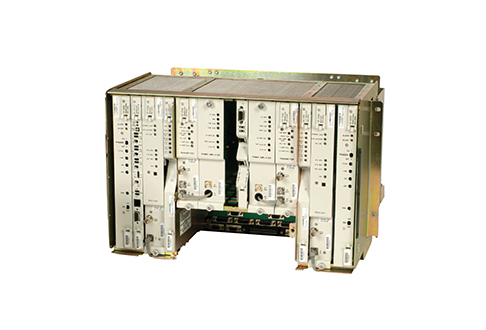 Worldwide Supply offers selections from the complete line of Alcatel-Lucent MDR-8000s such as the MDR-8X02 that specifically operates in both the 1.755-1.850 GHz and 2.200-2.290 GHz bands, which are commonly used by U.S. government agencies. Many of these models offer high gain and proper RF propagation at 2 GHz, which are especially useful in remote locations. If you’re unsure which unit is best for your network and your customer base, we recommend contacting our specialists who can assist you with a complete understanding of the refurbished Alcatel-Lucent MDR-8000 lineup, designed to maximize your investment. We’ll minimize spares and enhance your maintenance spending as well as generate significant revenue for your company by reducing network power consumption and radio requirements.